AMES, Iowa – New technology developed by an interdisciplinary team of scientists at Iowa State University could allow anyone with a smartphone to see crops much the same way trained plant breeders and scientists do. The researchers’ findings, published recently in the peer-reviewed journal Proceedings of the National Academy of Sciences, demonstrate how artificial intelligence can identify a range of common stresses in soybeans. The technology can improve efficiency for plant breeders and farmers, and it demonstrates the growing value of automation in agriculture. ISU agronomists and engineers started by collecting a large dataset of around 25,000 images of soybean stresses taken in Iowa, said Arti Singh, an adjunct assistant professor of agronomy and co-corresponding author of the article. 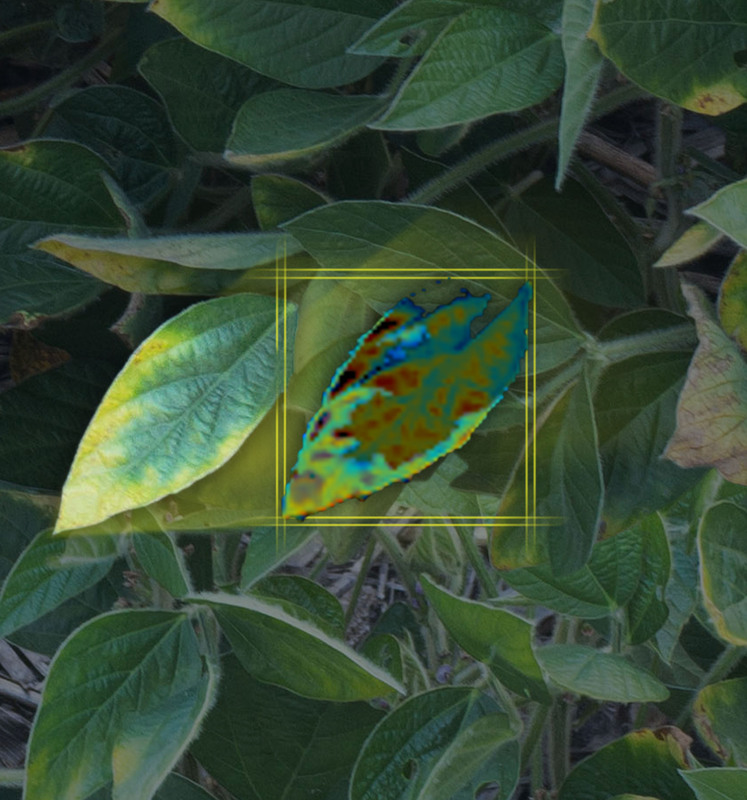 The team developed an automated machine-learning framework to find patterns in the soybean leaf images that correlated with eight common sources of stress, such as diseases, nutrient deficiency and herbicide injury. The result is a computer application that can diagnose and quantify the amount of various foliar stresses by analyzing digital images of soybeans. Singh said scouting crops and conducting visual measurements for stress is a time-consuming and often inconsistent process both for plant breeders and farmers. Introducing an automated tool can save time and produce more standardized results. “We want this technology to allow machines to see with the eyes of an experienced plant breeder,” she said. Soumik Sarkar, an assistant professor of mechanical engineering and co-corresponding author, said the researchers compared the performance of their program with actual diagnoses from trained plant scientists, and the results showed excellent correlation. In addition, Sarkar said the program qualifies its diagnosis by providing the specific visual symptoms it noted to reach its conclusions. While the program is currently available only for academic communities, the researchers said they intend to deploy the application on smartphones to make the product available widely. The technology also has the potential for use in unmanned aerial vehicles and ground robots. The interdisciplinary research team also included Asheesh Singh, an associate professor of agronomy; and Baskar Ganapathysubramanian, an associate professor of mechanical engineering. Two Ph.D. students, Sambuddha Ghosal in mechanical engineering and David Blystone in agronomy, also contributed. The research was supported by funding from the Iowa Soybean Association, the ISU Plant Sciences Institute, the ISU Presidential Initiative for Interdisciplinary Research, the U.S. Department of Agriculture, and the National Science Foundation. Illustration courtesy of Soumik Sarkar. Larger image. A new approach developed by ISU scientists could allow plant breeders and farmers to diagnose soybean stresses – such as iron deficiency, disease or herbicide injury – by using a smartphone. The technology may have uses in unmanned aerial vehicles and ground robots as well.